Although it was some time ago now, I never did manage to put anything on here about the hay making this year. I won’t even both coming up with any excuses, there just aren’t enough hours in the day at the moment I guess. Given that the weather so far this summer has been hot and dry, it’s no surprise that hay making went without a hitch in the end. 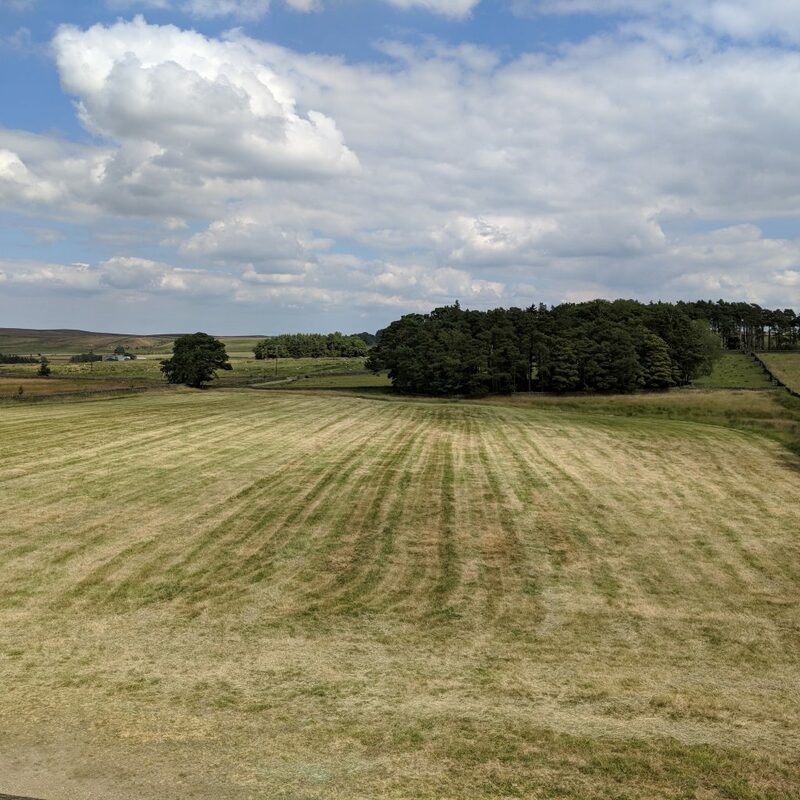 The first week of July was considered to be as good as any time particularly since the dry weather would mean poorer quality hay if left for too much longer. The field was cut on the Monday, turned a number of times over the next couple of days and then baled by the Wednesday evening. Our neighbour has the right equipment so we’re happy to pay him for the work and all this happened while I was away for business. 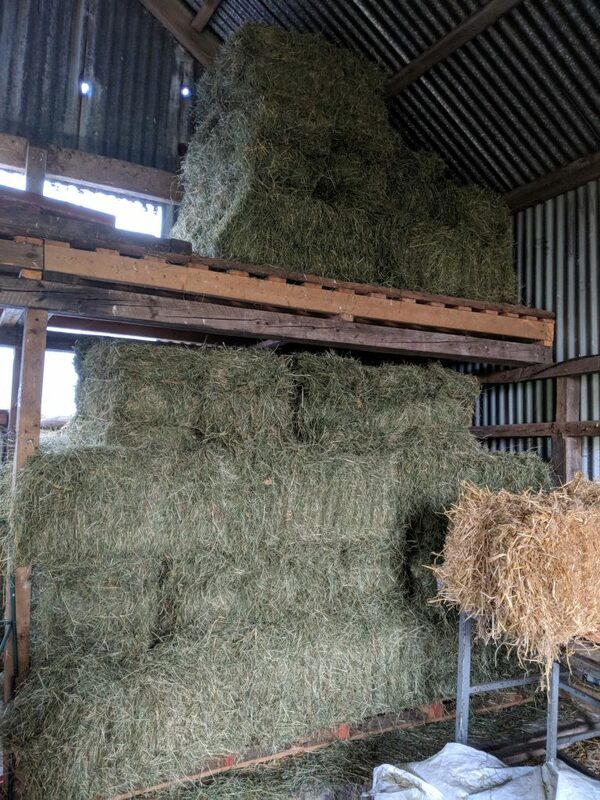 Once I returned though, there was no avoiding the fact that the hay bales needed to be brought into the barn. Luckily the lack of rain this year meant that I could take a couple of days over the task without any risk to the hay while it sat in the field. 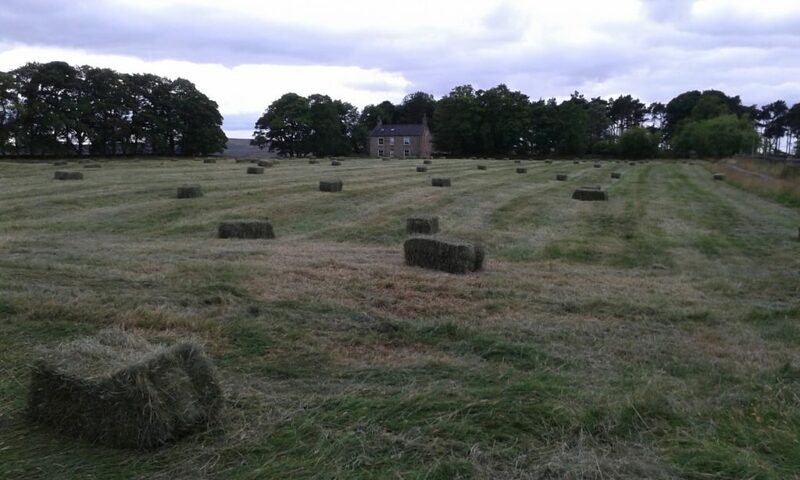 This year we got around 150 bales in total which is considerably down on the yield from the same field last year. This is taken from a roughly 4 acre field but only 3 acres of it was considered good enough to cut due to rushes and nettles around the edges. As a result we’ll need to buy in extra feed for the cattle over this coming winter but that’s quite a common situation for many people this year. Hopefully we can get our winter feed sorted out before any mad rush pushes the prices up too far though. The field is slowly starting to recover now and, if I’m honest, we could do with some rain soon but I know you have to be careful what you wish for sometimes!